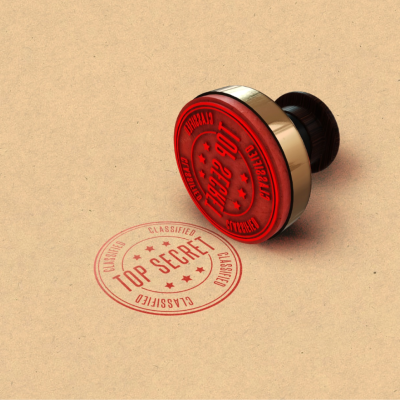 In ‘Part 1’ of this blog I reviewed three espionage titles: GCHQ: The Uncensored Story of Britain’s Most Secret Intelligence Agency; MI6: Life and Death in the British Secret Service; and The New Spymasters. Now I recommend two more books, both of which are available to borrow from Oundle Library. This tells the amazing and still little-known stories of the real Charlotte Grays - women who put their lives on the line working as agents in Nazi occupied Europe. Churchill’s Special Operations Executive (forerunner of the SAS) was established in June 1940 to ‘undertake sabotage, subversion and intelligence gathering’. The SOE soon realised that women had many advantages in intelligence work. Most women recruited had language skills, were adaptable and eager to learn. In occupied countries they attracted less attention and thus enjoyed more freedom of movement than men. Single young men on their own would arouse suspicion because they would be expected to be working in food production or in the armaments industry. The bravery of these young women certainly defies imagination, and the eight figures profiled in this book deserve to be better known. Violette Szabo, Diana Rowden and Noor Inayat Khan (Britain’s first Muslim war heroine) all gave their lives in the cause of helping the French Resistance. Others, like Nancy Wake, survived into old age. They all volunteered for these dangerous postings knowing full well that, if captured, they would be considered ‘illegals’ not lawful combatants, and therefore outside of the protection of the Geneva Convention. This often meant torture and execution. Szabo was only 23 when she was killed by the Gestapo at Ravensbruch. Khan was 30 when she died at Dachau, after being tortured and beaten. It’s reported that the last word she spoke (in French) was simply ‘liberté’. Walker tells these stories in a plain, unvarnished style, accessible to any reader. These truly remarkable women deserve to be honoured and remembered by everyone. This is a light and entertaining journey through the stories of famous, and infamous spies, over the last 100 years. Neil Root fills us in on everyone from Mata Hari through to the infamous Cambridge Five — Blunt, Philby, Cairncross, Maclean and Burgess — who betrayed their country, even though they came from amongst Britain’s privileged classes. And then there is the quite unfathomable tale of Aldrich Ames, who spent 25 years as a CIA agent while supplying exhaustive amounts of material to the Russian KGB, and its successor the FSB. It is estimated that Ames ‘betrayed over 100 CIA operations to the Russians’ as well as ‘blowing the covers of at least thirty western intelligence agents’. On top of this, many Russian CIA contacts or ’assets’ were executed as a result of his treachery. Ames has the dubious distinction of reputedly being the ‘highest paid known spy in USA history’. It is estimated that he secured between $3.5 million and $4.6 million from the Russians over an almost nine-year period. As yet no one can give a good explanation as to how he got away with it for so long.